At Vokes Air, our entire business is about creating clean air. Our filtration solutions are used in numerous applications worldwide to protect people, processes, equipment and the environment. From industries as diverse as facilities management to biological research, our products are at the forefront of innovative design and at the highest level of quality. With a history in air filtration stretching back to 1927, our portfolio of products has been finely tuned to create the optimum solution for all types of applications. This is down to decades of working hand-in-hand with our customers, garnering invaluable knowledge and experience along the way. Our 11 sales and application engineering centres are supported by three manufacturing hubs to provide all the expertise and assistance our customers could need. Each manufacturing location, in the UK, Sweden and Germany, is certified to ISO 9001 and is backed by two fully-equipped technical development facilities, providing in-house research and testing capabilities. Our facilities allow us to simulate a variety of environmental conditions so that the products we put on the market are of the highest standard and offer assured performance no matter what the application requirements. This also provides us with the ability to accurately recreate a problematic situation in the development of a tailored solution. As a company, Vokes Air aims to become the global benchmark provider of air filtration for power generation and marine applications. Leveraging our specific know-how, we continue to develop air cleaning solutions that exceed the strictest requirements in this field in terms of performance, energy consumption and environmental compatibility. Our product range for gas turbine air filtration is unsurpassed, with a range of solutions for end-users, installation / service companies and OEMs for gas turbines, diesel engines, gas engines, compressors and blowers, and nuclear power. From working closely with our customers, we have continued to innovate, bringing products to market that solve the problems faced by power gen operators each and every day. With this product range, Vokes Air is a primary partner of leading power engine manufacturers, improving the overall performance of their systems with advanced air intake filtration solutions that require ever less energy and assure the best protection against environmental challenges. Vokes Air’s replacement and retrofit systems provide outstanding opportunities to increase power output and generation performance, reduce production and maintenance costs, and minimise the environmental impact of power plants in service. Filtration’s role in power generation and marine propulsion is critical. 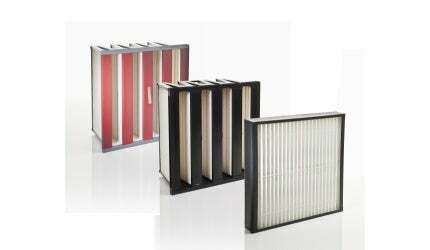 Air intake filters protect the most valuable equipment from degradation caused by exposure to outdoor air pollutants, while specialised process filters prevent the spilling of pollutant exhausts, such as lube oil mists, into the atmosphere. Summing this together highlights the complexity of choosing the perfect air filters for gas turbine applications. For that reason, buying air filters should not be considered a ‘catalogue’ purchase. Vokes Air products deliver more to our customers’ power plants: more productivity; more reliability; more availability. Understanding the balance that the turbine operator wants to place on each aspect means that the air filter manufacturer needs to provide a consultative approach to filter selection. The best filter companies will ensure that they acquire data from the local environment, match this with their detailed knowledge of the long-term performance of their filters and then use a computer modelling programme to establish how long a certain filter combination will last. And this should not be static. Over the life of the power station, the local environment is almost certain to change. Construction of housing, commercial buildings and roads are the classic changes that effect the levels of pollution in the air. These changes will have an effect on filtration performance and so a regular review of this (as well as a review of the objectives of the power station) is essential to ensuring optimum performance throughout the turbine’s lifecycle. On 19 May, Carlo Coltri of Mann Hummel Vokes Air will present the study 'Enhancing Energy Efficiency: Retrofit of Gas Turbine Air Intake' at POWER-GEN India and Central Asia in New Delhi, India. Any industrial plant that utilises gas turbine technology faces similar challenges when it comes to ensuring clean air is supplied to the engine. This paper provides an overview of air filtration in modern combined-cycle plants. In the field of large power generation plants, even a small improvement in efficiency can have a dramatic effect on overall performance. Europe's larger combined-cycle power plants are currently navigating rough seas. Low-cost US coal, renewable energy and economic crisis have all combined to slash the average running hours of plants that use gas turbine technology. This study from Vokes Air explains how the correct use of air filters can significantly improve the efficiency of gas turbines. Mann Hummel Vokes Air will be attending the NEXTURBINE conference 2016.